Every fall, I lead a family hike to a secret paw-paw patch near Kelly’s Run, where everyone gets a chance to eat a paw-paw. Discussing paw-paws at the paw-paw patch. 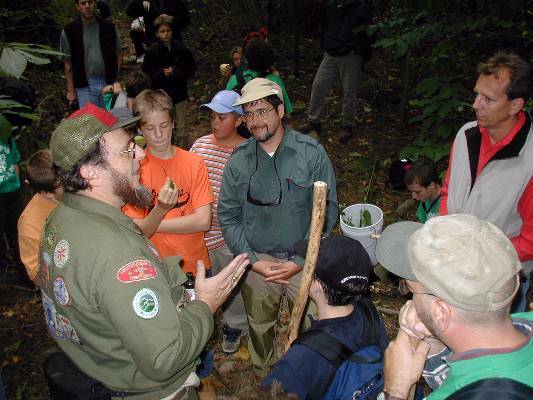 Visit Troop 99 Monday nights at 7:00 p.m. at Highland Presbyterian Church on Oregon Pike, 1/2 mile north of Route 30. Pictures courtesy of Stu Van Ormer.